OK, first off the bat - sorry, but yes, this is another popsicle recipe, straight after the previous one. That one was a kid-tastic recipe, but this one, on the other hand is a purely adult indulgence. Lets face it, when someone asks you to review a cookbook called 'Poptails - 60 Boozy Treats Served on a Stick' are you really going to say no? Thought not. I was pretty excited when Poptails by Erin Nichols landed on my doorstep. Its been the kind of hot, sweaty summer that's just calling out for long, lazy evenings out on the deck trying hard to cool down. Not that I am complaining about the heat, mind... I'll take it over -42 any day. Poptails is a cute little book, easy to read, and just the right size to carry around the kitchen. The theme of the book is simple, as the title suggests, it takes classic cocktails and turns them into popsicles. The idea is refreshingly interesting, and the recipes are all relatively easy once you master the art of preparing the alcohol for the recipe. Erin keeps the language simple, and I love her little 'asides' in the book, and it feels like she's chatting away with you throughout. The recipes are all remarkably simple and easy to recreate at home without the need for any fancy equipment, other than a popsicle mould. The only thing you need to make some of these recipe is patience... you do have wait for ingredients like club soda and champagne to flatten overnight (though, to be honest, I didn't really have the patience to wait for my soda to flatten, so I poured out the quantity I needed and basically whipped it with my milk frother until it lost most of its bubbles... guilty look) But with good planning and organisation, its easy enough to prepare alcohol and let sodas flatten overnight. I enjoyed flipping through the recipes in this book - and I kept bookmarking several. I am definitely going to try out the Bellinis, the Irish Coffee, the Pretty Pink Margarita... but for my test recipe I chose a classic mojito, because, simply put, for me summer is all about mint and limes and errr... Bacardi. Growing up in India, we didn't really binge drink, but Bacardi was a perennial favourite of my cousins and family... especially after that cool 'sitting in the summer sun' ad. I followed the recipe, but made a few modifications. Instead of muddling the cocktail with the mint leaves, I made mint-infused syrup using some of the mint from my own garden (Erin offers up a recipe, but I used my own for this one) My mint was ordinary mint, but I know that supermarkets sell large quantities of mojito mint as well, though I am not sure exactly what the difference is. I also doubled the quantities as I wanted to make around 10 popsicles for a party I was hosting. The actual recipe was very easy to put together. I flattened the club soda and prepared the alcohol in advance, along with the mint syrup. I then combined them with the lime juice and froze the poptail in popsicle moulds. The only issue I had with these poptails was that they melted quicker than normal popsicles, so you'll probably have to serve them with a small plate or napkin. But we also found that sucking out the boozy goodness helps keep them in shape (haha). I also think that next time I will try and suspend some mint leaves within the poptails, as I think that they'll look very pretty and add a splash of colour. You can buy a copy of the book here, and also visit Erin at her website here. Adapted from 'Poptails' by Erin Nichols with permission. Makes about 10 standard sized popsicles. To make the mint-infused sugar syrup, rinse the mint leaves, then add to a saucepan with the water and sugar. Bring to a boil, slowly, to dissolve the sugar, then raise the heat and boil for 1 minute. Lower the heat to a simmer and simmer for about 3 - 4 minutes. Take off the heat and leave to infuse for about half hour. Strain the mixture through a sieve and discard the mint leaves. Cool the syrup. Combine the prepared rum, flattened soda, infused syrup and lime juice. 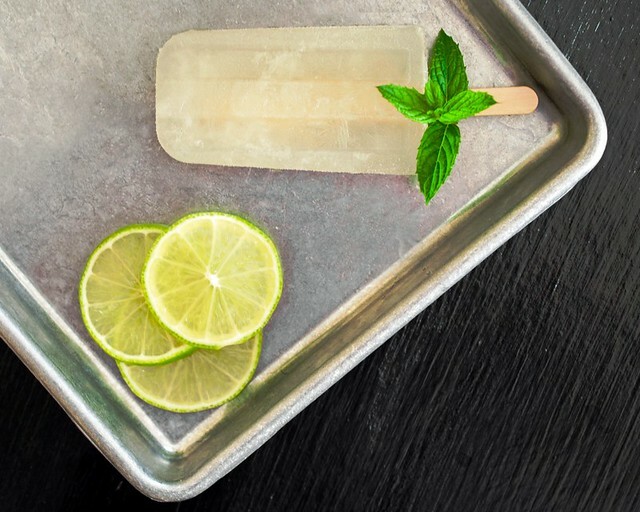 Gently pour the mojito into your popsicle moulds, being careful not to overfill and leave some space at the top for the popsicles to expand. Top with your popsicle sticks and freeze for at least 24 hours. Run warm water over the moulds to release the popsicles and enjoy! To prepare rum to use in this poptail, Erin recommends using 2¼ cups of white rum. I used Bacardi. Place the rum in a deep saucepan. When it starts bubbling, time it for 2 minutes, letting it boil. Take off the the heat immediately and pour carefully into a heatproof container. Let cool before using. To flatten club soda, open the bottle, and carefully pour out the amount you need. Place in a wide container in the fridge overnight. Disclosure: I received a review copy of 'Poptails' for free. 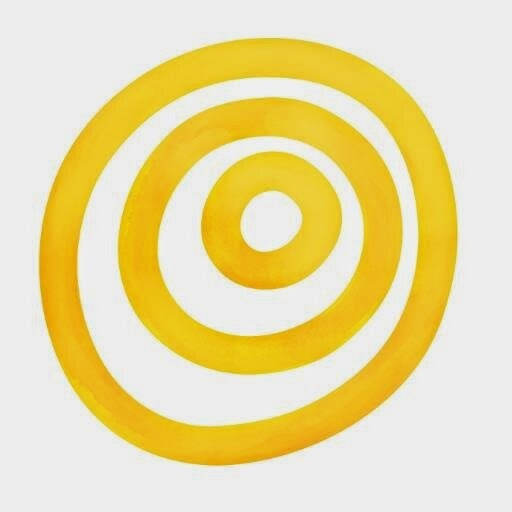 All opinions are my own, and the recipe is adapted with permission. I was under no obligation to review the book, but I chose to do so as I really liked it. 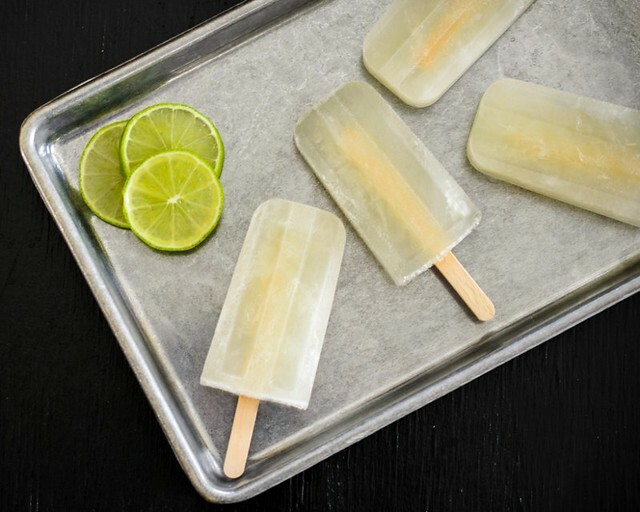 How on earth did you get such crisp shots of your popsicles? Mine were all "noo we won't stay solid and pretty when you put us down, even on a plate straight out of the freezer"
Can't wait to try this recipe, it's book marked in my book too! 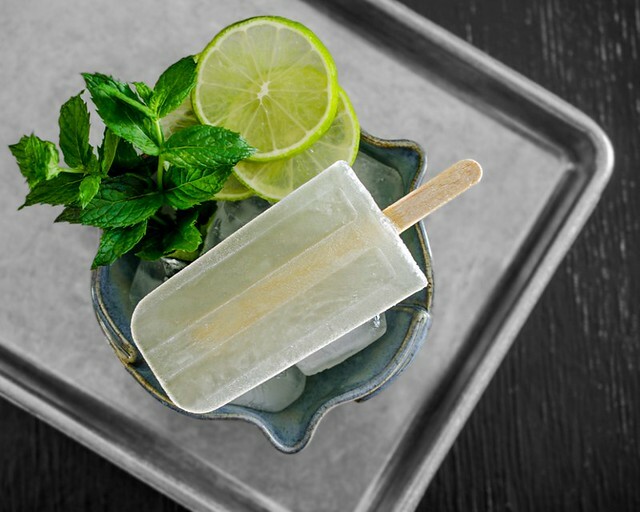 Wow, mojito in an ice pop. Oh yeah! Oh yeah, indeed, Kathy :) These go down eaaasssyyy!! Lovely idea. Great excuse to buy some white rum. I've no idea why I gave up drinking white rum.